Two more LEGO City 2014 Arctic set reviews are up! These are the last two sets of this theme that I have in hand, but of course I'll be looking out for the others, especially the ship! I love the whole arctic line! Thanks for exposing them for their greatness JANG! 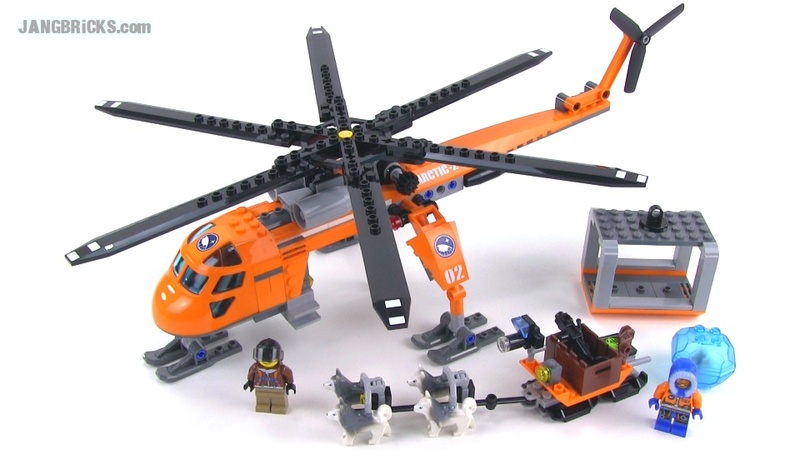 I really like where Lego is going with the Helicrane but feel they haven't capitalised on all its potential. - Its cargo really should sit firm and lock into the airframe when winched all the way up. - Use the spring loaded winch instead of manual one. - Instead of branded to Arctic it was branded to Air Cargo. This way the cargo really could be anything and the Helicrane could be contracted to a multitude of Lego City themes. It could simple lift a cargo crate that has a couple of pallets in it, it could have a water tank for fire fighting, it could lift logs for the loggers ir even a small remote office for them. As long as each module is based on the cargo container, then anything's possible. What are your thoughts and do you think its possible to make the mods I've suggested on a set this size?